Can you imagine, you live in multi floor building and you just forgot and accidentally left at home your glasses, wallet, beloved iPad, dog that you take to walk, head, lightsaber and so on. Why you just can't press undo on elevators panel to get back to your floor? Its very simple and pretty useful. Instead of waiting all way down and back, then somebody interrupts your journey and extend your elevator travel. Multiple press on UNDO (green button). For fun you can browse all stops history simply by pressing undo button few times. Get your self some stiff fun. 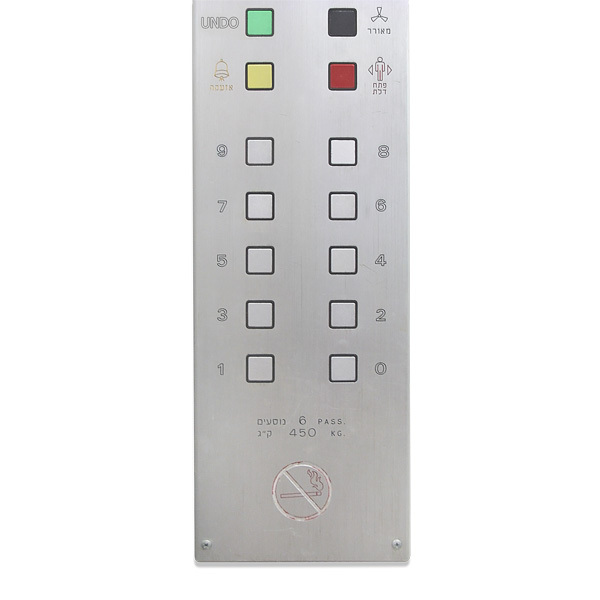 Lets say, as additional feature hold the UNDO button and all pressed floor numbers just resets and lift stops at closest floor.